Happy Friday and welcome to Friday Features & Finds. 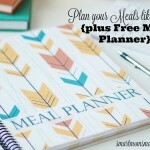 On Friday, I share inspiring posts from other blogs and the best featured offers for the week. Fun Quick Family Game Night Idea by Jeniece at On the Go Mommy. Are you looking for some fun and easy games to play with your children tonight or this weekend? Jeniece shares her top picks for each games to play with the family. 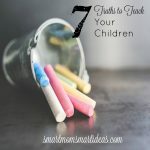 12 Ways to Make Mornings with Kids Easier by Alli at Modern Parents Messy Kids. I always need advice on managing the morning better. 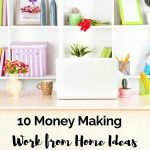 Alli offers are some great suggestions (I especially did not know you could freeze peanut butter and jelly sandwiches – now I make them once for the week and be set!). 4 Simple Parenting Tips for a Fun & Safe Halloween by Maria at Collecting Moments. Tomorrow night is Halloween. Remember these 4 tips to keep your children safe. Have fun! 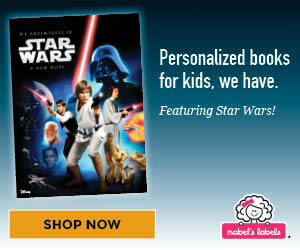 Mabel’s Labels is offering a personalized book Stars Wars book that will allow your child to be the hero help Luke SkyWalker and Han Solo rescue Princess Leia. A great Christmas gift. If you have a daughter or if your child is not a Star Wars fan, Mabels Labels also offers personalized books with Frozen, Cars and Mickey Mouse. The books are $24.95 and include FREE Shipping. Don’t miss this unique and special Christmas gift. Great Fall and Halloween pictures you would like to have printed? 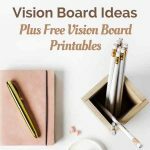 Shutterfly is offering 101 FREE 4X6 prints, you pay shipping about $5.99 till November 1st. Use the code PUMPKIN at checkout. Or you can make a photobook and save 50% with the code BOOYEAH at checkout. This code also expires on November 1st. Coming next week, a flash sale for the Ultimate Homemaking Bundle. More details soon.